You can automate just about everything; and you should. It takes a lot of weight off your shoulders and frees up your time. Saving is easy to automate with online banking – simply set up an automatic transfer from your checking to your savings each month… Or try Digit! Digit is a free tool that automatically transfers different amounts from your checking account to your savings. It’s an intelligent tool that knows when you can and can’t afford to save; but don’t worry, if for some reason Digit causes you to overdraft by taking too much, they will fully reimburse any fees and charges (though it’s so smart I’ve never even heard of it causing an overdraft). When people ask how my wife and I feed our family of six for under $400/month, I have two words: “meal plan”. Planning your meals will save you a ton. It eliminates buying extra food that you don’t need. It also helps you plan ahead for making more affordable meals, rather than buying what looks good when you’re at the grocery store. I’ll go over how we make our meal plans even cheaper in the next point. You don’t have to spend hours going through sale papers to find the best deals on everything. Just make your meal plan, but leave the specifics open. For example, one of your meals could be a stir-fry, so you need meat, veggies and a grain. When you get to the store, buy the best-priced meat and veggies. Then look for a grain, like rice or quinoa and buy whatever is the most cost-effective, weighing the price and health benefits. This may seem obvious but the statistics show that it isn’t. You’ll save a lot of money if you stop buying the 24 packs of soda and bottles of juice. Bottled water is cheap – tap water is cheaper. There are many great options for filtering if you’re not a fan of the tap taste. Weigh the cost and see whether you prefer bottled or tap. When you’re eating out, a family of six can easily save $12-$20 per meal just by drinking water instead of soft drinks. There are plenty of free services like Mint and Personal Capital that allow you to link your accounts and automatically track your budget. If you’re not one for spreadsheets and inputting numbers, this is for you. You are able to view it and oversee the budget, but once you set your categories everything is automatically sorted for you. Occasionally something will go into the wrong category, but it’s easy to switch it and change the category for all future transactions. If you want to get out of debt, you need a plan. There are a few options, but the two most common are the debt snowball and the debt avalanche. How do they work? For the debt snowball you simply write down all your debts from the smallest balance to the largest, then you use any extra money to pay off the smallest balance first. Once that’s paid off, take that payment plus any extra money, and put it on the next smallest balance until you’re debt free. With the debt avalanche it’s the same idea, except you sort by interest rate (highest to lowest) instead of by balance. The debt avalanche will save you more money in interest, but you may prefer the small wins that the debt snowball provides in the beginning. If you’re trying to reach a goal that seems to be taking longer than you’d like, you may want a second a job. It’s not forever; just a temporary job to get past whatever situation you’re in. If you’re in debt a second job is a great way to pay it off faster. If you’re building an emergency fund: get a second job to get it knocked out. The service industry is great for this, such as waiting tables or delivering pizzas. Service jobs are great for maximizing your extra working hours, since you’ll be getting tips and likely making more than you would at a regular hourly job. If you aren’t able to get a second job then don’t worry! There are plenty of other ways below to save money without working more. When was the last time you checked insurance rates? This is something you should be doing annually. The cheapest isn’t always the best, but usually you’ll find that you can get the same coverage for less money if you shop around. Once a year take a look at all your insurance policies. Call around or go online and see if you can find better rates. Most of the time you can! There are primarily two crowds when it comes to coupons: the first crowd says coupons aren’t worth the time you spend cutting them; the second crowd says coupons are always worth it because they save you money. However, there exists another crowd: the savvy couponers. Be discerning with coupons. It may not be practical for you to spend hours each week cutting them, but you should be on the lookout for coupons that save you a lot of money. Check out popular services like Groupon or Living Social to look for a coupon every time you’re about to spend money. It takes seconds and could save you a lot, especially on services like an oil change or a massage. Whether you use a credit card or a debit card, review your statements each month. It’s not uncommon for random or bogus charges to appear on your account. It’s easy to overlook these charges when you’re not checking your statement each month. If you have multiple cards, use a service like Personal Capital to link all your accounts. This way you can see all your transactions in one place for an easy review. Emergency funds are something you should set in place to avoid using a credit card in an emergency. When a crisis hits you don’t want to turn to a credit card and pile on the debt. Debt can turn a crisis into a catastrophe.Dave Ramsey popularized the idea of having an emergency fund instead of a credit card. Dave recommends getting it to $1,000 quickly; however anything is better than nothing. Even if you can just put $50 or $100 in your emergency fund each month, you’re still making progress. When you’re considering making a large purchase, use the 30-day rule. If you still want it just as much after 30 days, consider making the purchase. Often you’ll find that you no longer care about whatever it is you wanted. This eliminates spontaneous purchases made out of excitement or emotion. Set your thermostat one degree cooler or warmer depending on the season you’re in. You will barely notice the difference and a month later you can do it again since you’ll be fully adjusted to the new temperature. According to the U.S. Department of Energy, you can save as much as 1% on your yearly heating bill for each degree. If you’re planning to replace an item in your home, such as an appliance, cabinets or bathroom components; consider painting before replacing. If you’re only replacing it because of the appearance, painting may be your best bet. Anything from appliances and cabinets to sinks and bathtubs can be painted. You just have to buy the right paint. Always make this consideration before buying something new. Home Depot and Lowes aren’t the only places to buy home items, just like Best Buy isn’t the only place to buy electronics. Know your local and online options. We almost all know to look online before deciding on a purchase, but you may also be surprised at your local options. Overstock, wholesale and liquidation stores are a few of the places you should check out. Sure they’re hit or miss, but when you find some deals that save you hundreds or thousands it will all be worth it. We were able to buy ceramic tile for less than half the price we previously found, just by walking into a wholesale store that we passed by every day. Maintaining your home and your vehicle can save you thousands down the road. Regular oil changes, replacing air filters and checking tire pressure will all lead to savings in the future. Likewise, replacing your home filters, being aware of issues and quickly making needed repairs will save you some serious cash. Be mindful and pay attention to general maintenance. Staying on top of maintenance will stop other problems before they happen. If you have credit card debt, you know interest can be a killer. Call your credit card company and ask for a lower rate. You don’t need some amazing reason to convince them. Many companies will simply lower it because you asked. It’s easier than you may think to negotiate with credit card companies. Often times, they are just happy you’re paying instead of filing for bankruptcy. If you’re trying to save money, your habits may be working against you. For example, the cost of cigarettes and alcohol can be insane. If you don’t want to completely cut it out, try cutting back. Smoking one less pack of cigarettes each week can save you as much as $40/month depending on the state you live in. When you count the costs of your habits, it may open your eyes to another benefit of quitting. Maximize your credit card rewards by using the right card for your purchase. Some cards offer 5% cash back on gas, while others offer 6% cash back on groceries. Credit card rewards are a great way to earn while you spend, which in return, saves you money. It’s like putting a certain percentage of every purchase into a savings account. That was quick! Now you’ve got 20 ways to save money so start saving today. Some of these require you to take action, while others mean you’ve got to stop doing something. Whether you’re adding or subtracting something from your life, stay mindful of your spending. You should always know where your money is going, since you should be the one telling it where to go. 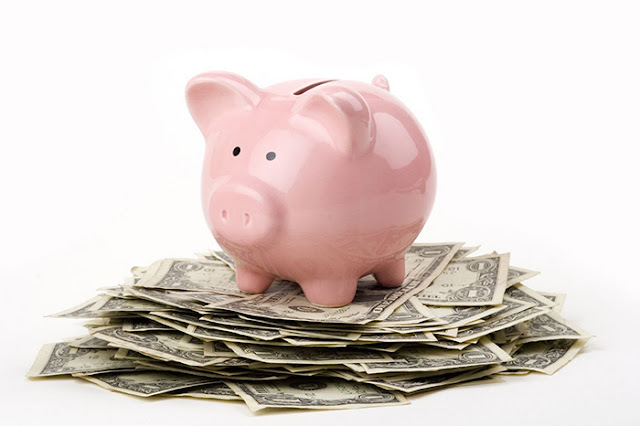 Stick to your budget, follow these tips and save some money!